George H. Miller, Jr., 80, of Nescopeck and formerly of the Benton area, died Wednesday afternoon, January 16, 2019 at Bonham Nursing Center, Stillwater where he had been a resident since April 2017. Born October 26, 1938 in Philadelphia, he was a son of the late George H. Miller, Sr. and Doris (Seedorf) Miller. He was also preceded in death by his wife of 42 years, Patricia M. (North) Miller, on August 17, 1999. Mr. Miller attended Audubon High School in Audubon, New Jersey. He faithfully served his country in the U. S. Army, being stationed in Germany. 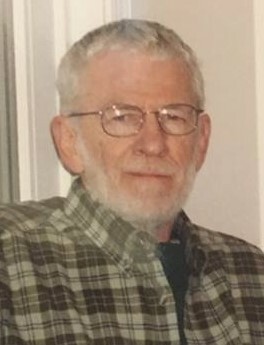 He worked as an auto and boat mechanic and owned and operated his own shop, "Miller's Land and Sea" in rural Benton for many years, retiring in 2002. An avid outdoorsman, he enjoyed hunting, fishing, camping, and working on boats and cars. He also enjoyed antiques and flea markets. Surviving are his two daughters: Michelle M. Berner and her husband, Gary, of Nescopeck; Lee Yost and her husband, Brock, of Benton; four grandchildren: Jason, Ryan, Christine and Kimberly; twelve great grandchildren: James, Thea, Olivia, Bella, Caiden, Ada, Micah, Liam, Ethan, William, Adler and Ivan; and a sister, Jacqueline Parks and her husband, Robert, of Gresham, Oregon as well as a nephew, Rick Beetle and two nieces: Jacqueline Pancoast and Lori Foy.